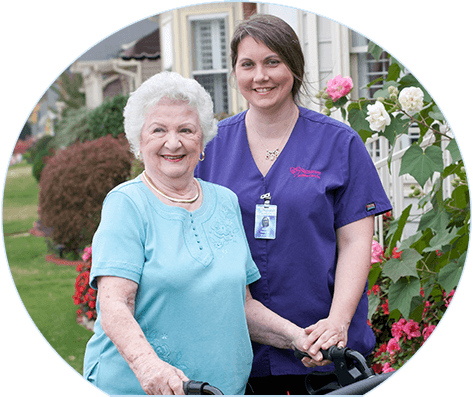 Signature In-Home Care is a family owned and operated company, bringing family values and ethics to every decision we make in our in-home care for seniors. Thank you so much for the kindness and help extended to me and my husband. Karen was a God send to us in a time when we were in serious need of help. She was so willing to do anything. She did so much more than she documented in the “Care Plan Book” I also want to commend your office staff. When I called with a question they were so kind and helpful and quick to find an answer for me. Thank you again for your help and rest assured if the need if the need arises your firm will be the one I call for help and I will recommend your services to all my friends and family. Once again my mother has been delighted with the care and attention she received from Signature In-Home. Would you please thank Sonja and Sherry for all they did for my mother. It is easy to see that the 'service' you provide is done out of love, not duty, and greatly appreciated by us. Deedra and Carolyn, I saw you the most, thank you. All of the other names I saw on the time sheets, thanks to all of you also. Mama enjoyed you and I appreciated you. Signature, You all are such wonderful people, I do not know what Theresa, Mother, and I would have done without your help. I knew all I had to do was place a phone call and ask for whatever and our wish was taken care of immediately! Everyone has been so genuine and loving throughout the years, it reflects totally on the both of you! We can only say THANK YOU!!! Dearly from our hearts, for taking such great loving care of our parents! Ready To Hire A Caregiver?